The best avalanche transceiver on the market: when lives depend on it, why use anything else? If you get buried in an avalanche, pray one of your mates is carrying an Ortovox S1. Oh, and do your mates the same favour and carry an S1 too. There are several avalanche transceivers on the market but the S1 is the best. The first unusual thing about the S1 are its looks. It’s like a Mr Spock era Star Trek communicator, or for the younger generation, an oversized flip phone. The second thing is the big backlit display screen with simple intuitive icons that make the S1 easy to use. Navigating the menu is also straight forward, with two buttons, one to toggle through the functions the other to select. Starting a search couldn’t be easier and this is vital: the last thing you want in a high pressure life threatening rescue situation is to be thumbing through an instruction book trying to find out how the damn thing works. To fire it into action just press the big orange lock button and flip open the screen and the S1 starts to search automatically. If it doesn’t detect a signal from a victim straight away the screen displays a stick man walking a ziz-zag course. This is to prompt you to do the same to pick up a signal. 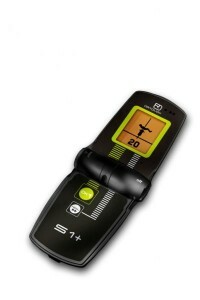 The S1 has a very wide search strip, 50 meters to the 20 meters most transceivers can cope with. This makes the initial transect search far more fast and efficient. Once a signal is detected, an icon of a person lying down marks the victim’s position. A vertical line runs down the screen. If the icon is off to the left of the line turn to the left until the line is directly over the icon and walk in that direction. Distance is shown in big digits at the bottom of the screen. If you are searching for multiple victims the S1 really comes into its own. Up to three victims can be displayed on the screen simultaneously and are shown relative to you and each other with distances to all three. One victim is selected as the target and the other two can either be targeted by other searchers with S1’s or searched for in turn once the initial person has been pin-pointed. Even though the S1 is very efficient and in the majority of cases, easy to use, maybe it’s not ideal for first time users. The multi search function in particular can require previous experience of transceiver use in order to get the best out of it.